If you ever wish to loop through the various items that are mentioned in a tuple then it is important for you to remember that you can use the for method to perform that particular feature. If you wish to learn more about this for method in this programming language then we suggest that you should keep reading as we will be discussing that particular feature in our Python for Loops portion of this entire Python Tutorial. It is important for you to remember that once you have created a tuple then you cannot add any other item to it. This is because of the fact that tuples once created are unchangeable. We have mentioned this fact above in the Python list of tuples module that tuples once created are unchangeable. And because of that fact, you cannot remove any particular item from a tuple once it is created. However, you can delete the entire tuple with the help of the del keyword. It is important for you to remember that in this programming language you can also construct a tuple by using the tuple () constructor. 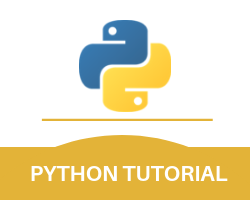 With this, we finish off our module of tuple Python in this Python Tutorial.